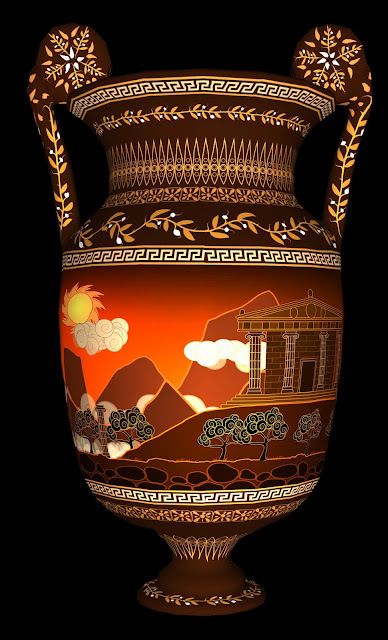 Vase is an video game that takes place in ancient Greece. The action starts as the paintings on the surface of the vases come alive. In the game a company of heroes struggle to survive and save the city of Sparta as mysterious and powerful army calling itself the Horde of Moloch march to their homeland. Vase was created during the Game Project course at Aalto University of Art and Design. It will be published as a tablet game during 2013. The team behind Vase is Jukka Huiskonen, Henrik Hackenberg, Sebastian Eriksson, Jonna Rantanen and Jan-Erik Ehrström. There is a tale of heroes unknown to men of our time. It is a story painted in colours of glory and pain; a legend of might, treachery and destruction. Buried in the sands, in the depths of a temple fallen into oblivion it waits to be told again. The heroes may be absent, fates forgotten, but they are not gone. They stand strong as their deeds, which still echo in the halls of valor – and on the faces of the vases. An ancient town fell into ruins centuries ago. So did the mighty temple where gods of Greece were worshipped. In the main hall remain several vases decorated with landscapes and warriors. It is unknown who brought the vases to the temple or when. But one thing is certain; it happened a long time ago. As the temple is buried in sand and forgotten by men no-one sees the vases or what happens every night when the sun goes down. Nothing is really still, but alive. As the moon illuminates the sky the faces of the vases tell stories of old. 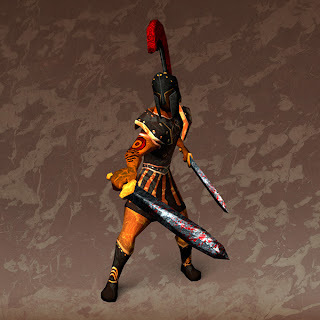 Legend about the brave warriors of the great city of Sparta and their fate as they fought against a merciless enemy. This epic battle that takes place on the vases and the history repeats itself. Night after night, perhaps forever. 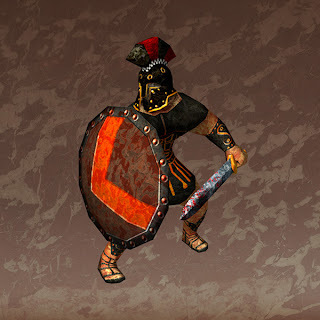 The company of Spartan warriors don´t have a leader other than their king. These men have been fighting for years side by side before the happenings pictured on the vase. Aristides was the one known for his wits and good manners. He was brought up in a family of position but chose a path of a warrior already as a young man. His unfortunate enemies feared him because of his skills with the spear. 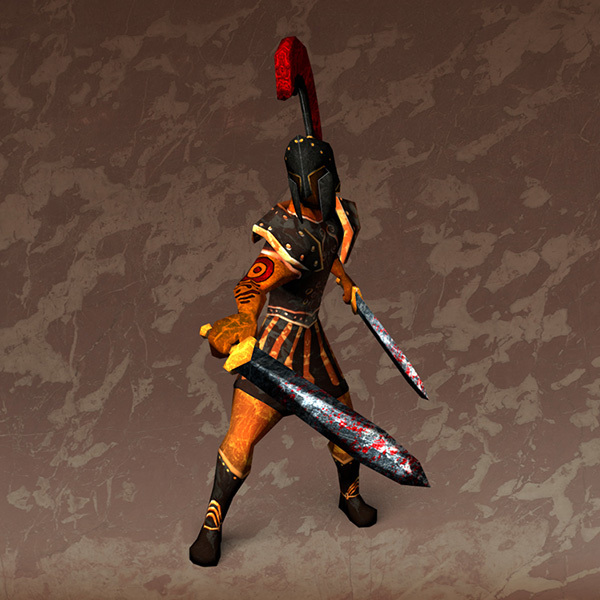 This master of two blades joined the company of Aristides years ago when the war against Corinth was raging. Dareios sailed to Greece from distant coasts of Phoenicia as a child with his father. 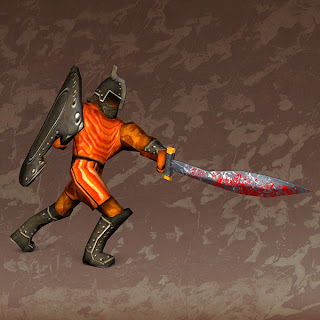 Dareios was taught the secrets of combat with two swords by his father, a skill that was practiced in his former home town. 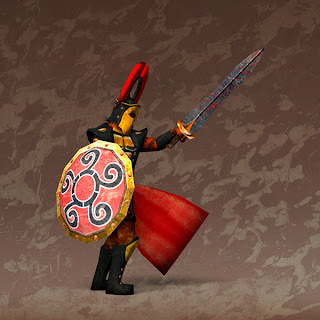 In the heat of battle Dareios was able to perform a furious blade flurry which was the result of years of devotion to the art of swordsmanship. Herakleios met Aristides at the training grounds of Sparta. They joined forces as the army of Sparta marched against Corinth. Herakleios was born in a family of a former slave but had gained respect among the warriors because of his stamina and steadfast character. He was loved among friends and feared by enemies because of his devastating strength. This was often demonstrated in combat when Herakleios used his bone crushing shield bash against opponents. The warrior king of Sparta came from a long line of brave kings and had nothing to be ashamed of when compared to his forefathers. 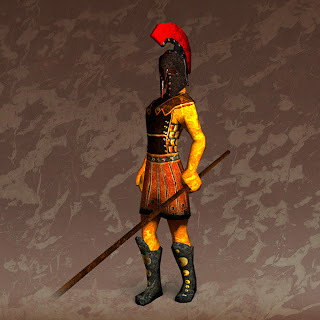 King Herodotos had defended his city against threats from other city states of Greece and had pushed back an barbarian army from Macedonian hills in his youth. His greatest triumph was the victory against the city of Corinth – the same battle where the company of Aristides, Dareios and Herakleios fought so valiantly that they were brought to the attention to the king himself. The followers of devouring god Moloch was a vast army feared by most. They were landless men led by warrior priests from the east. Legend claims their origins lied in the fallen kingdom of Assyria. The last prince of Assyria was said to have led a legion of warriors from the slain realm to an desperate retreat to the desert. They were supposed to have been lost forever but years later they surfaced as followers of the dark god Moloch – devourer of children and all good things. It was said that black magic of Moloch and sacrifice of the innocent saved the prince of Assyria and his men from dying in the desert. Horde of Moloch was then seeking a place to settle in to create new Assyria, but for decades it only faced ongoing battles against everyone. This struggle strengthened the horde as it marched towards west. Rumors about the movements of the horde were heard beside campfires of Greece. Many thought the march of the followers of Moloch would be stopped at the rocky shores of Troy and the horde would never cross the eastern sea. These optimistic dreamers were wrong. The Horde of Moloch set sails to Greece and made the voyage despite the risks of the open waters. Suddenly the grim threat was reality: the horde could bring mayhem even to the great city of Sparta. 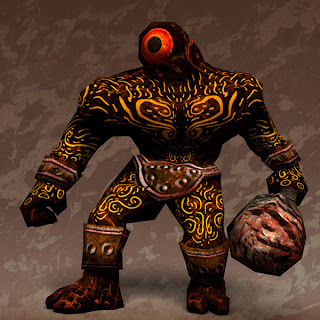 The mighty Kallikrates joined the Horde of Moloch as the horde gathered supplies on his island during the voyage across the eastern sea. This was a proof that the horde had learned to control powerful creatures and strange beings. One of the most feared of these was the Cyclops of the Island, the Strong One also known by the name Kallikrates. He was one of the terrible foes most of warriors had heard of but only few had ever dared to face.